Like last year, we will be hosting our AGM virtually, but we will have a physical location in the Ottawa area that will be announced soon. 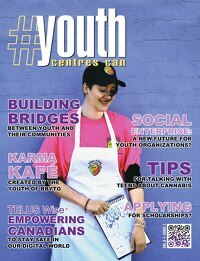 For those of you who will be joining virtually, we will be using the Youth Centres Canada Join.Me to broadcast. If you would like to attend our AGM please R.S.V.P to will.white@youthcentrescanada.com and we will forward the call-in and location details! Are you or someone you know interested in being part of our fantastic team? Yes? Click Nominate New Board Member below!